Looking for an easy appetizer or new twist on your plain ol’ cheeseboard? Top a radish slice with a square slice of Roth Havarti cheese, then sprinkle the top with coarse sea salt. Try many Havarti flavors like dill (pictured), jalapeno or original. 3. Top radish slices with havarti slices and sprinkle with sea salt. 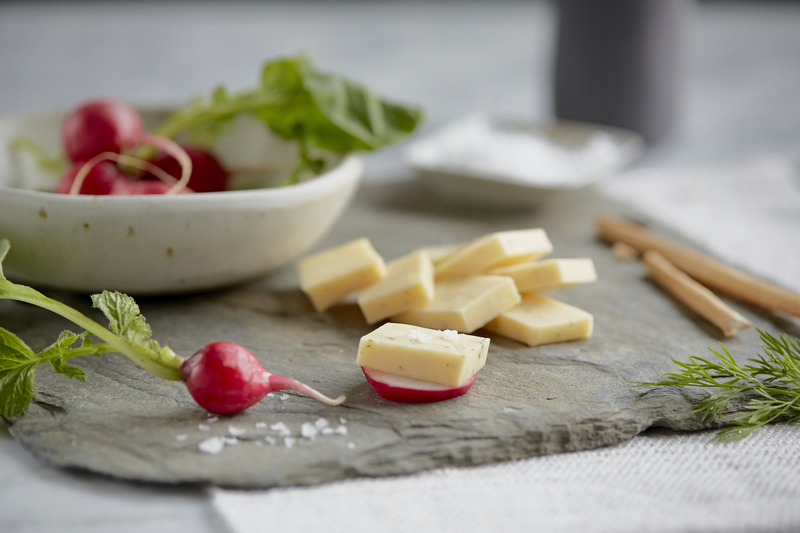 Or, place havarti squares and radishes on a cheeseboard for quests to assemble their own pairings.